Perianth segments very broad, acute, slightly mucronate, a little reflexed, plane, overlapping half; the inner segments narrower and more nearly spreading; corona almost disc-shaped, tightly ribbed, yellow, with green at base, and a band of deep red at rim, minutely crenate. Resembles a larger-flowered ‘Cantabile’ with a more obviously reflexed perianth. 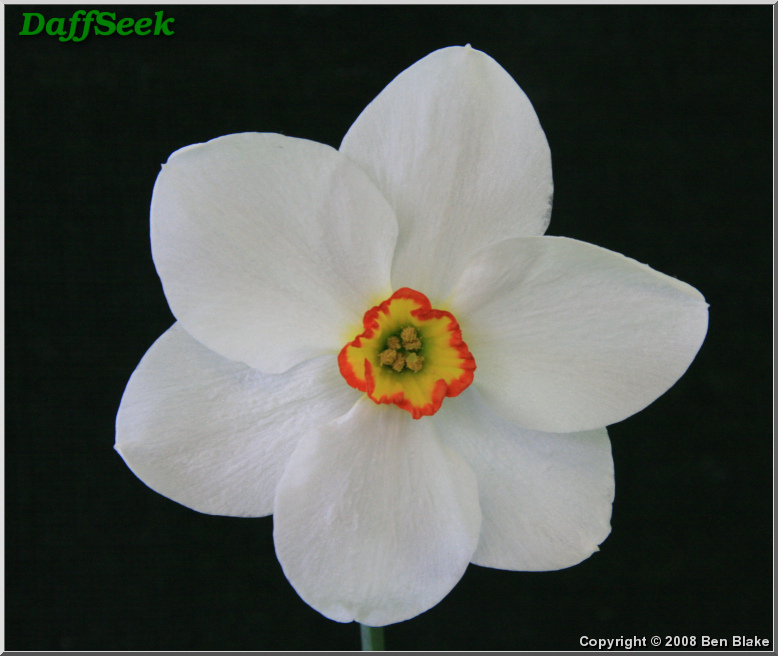 According to the 1977 issue of the Rathowen catalog, this daffodil is a sibling to ‘Poet’s Wings’.